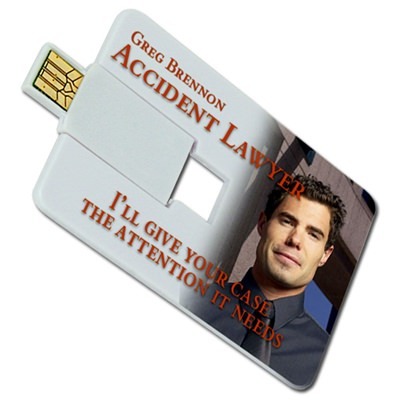 The Flip Card custom USB drive looks like a business card and acts like one too! 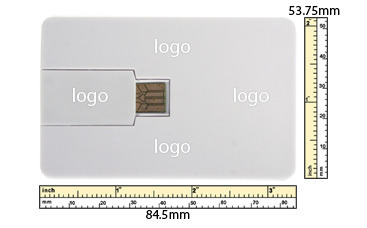 This custom flash drive can be custom printed with personal info and artwork, and pre-loaded with your information. 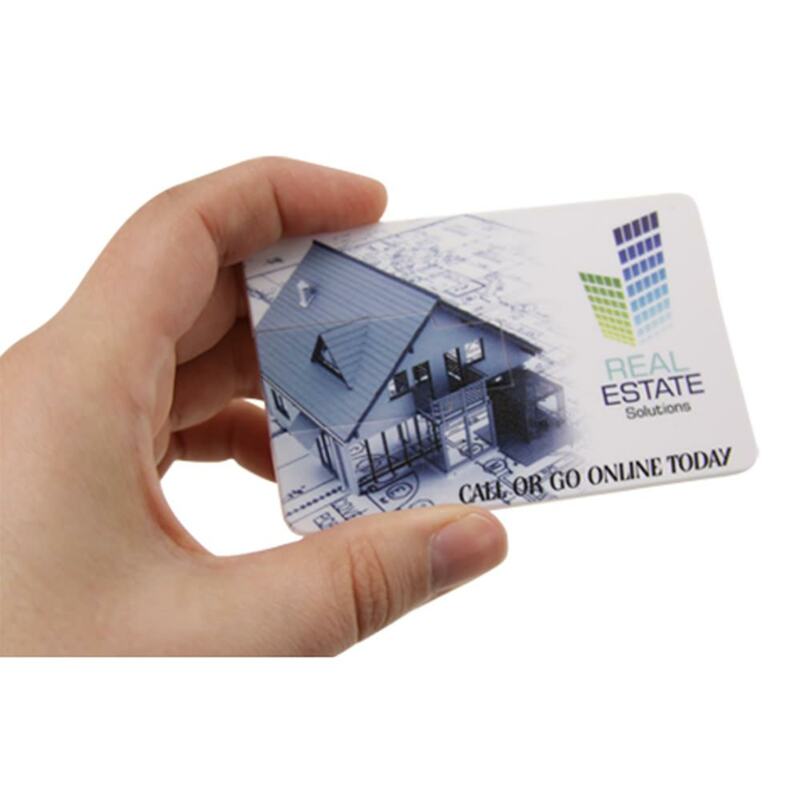 The Flip Card makes an excellent marketing tool and is great for distributing information or promoting your brand. 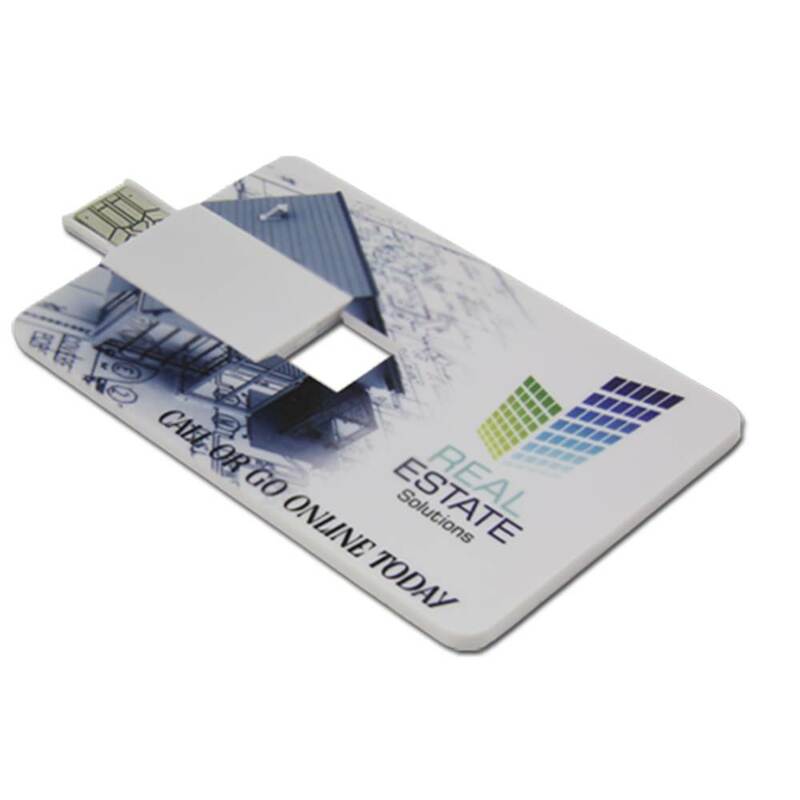 Check out this awesome promotional USB drive today! 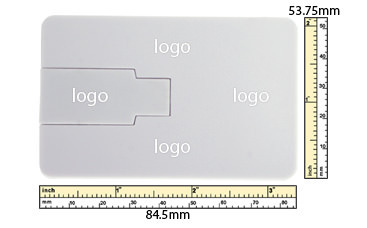 All our USB promotional products are printed here in the United States! 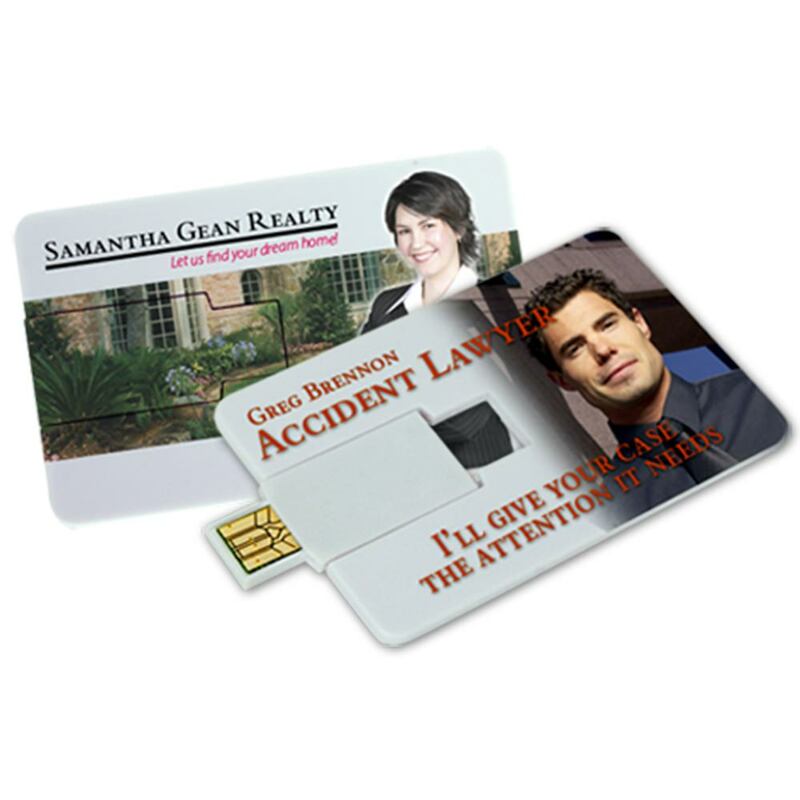 The Flip Card promotional USB drive is an updated take on the business card. 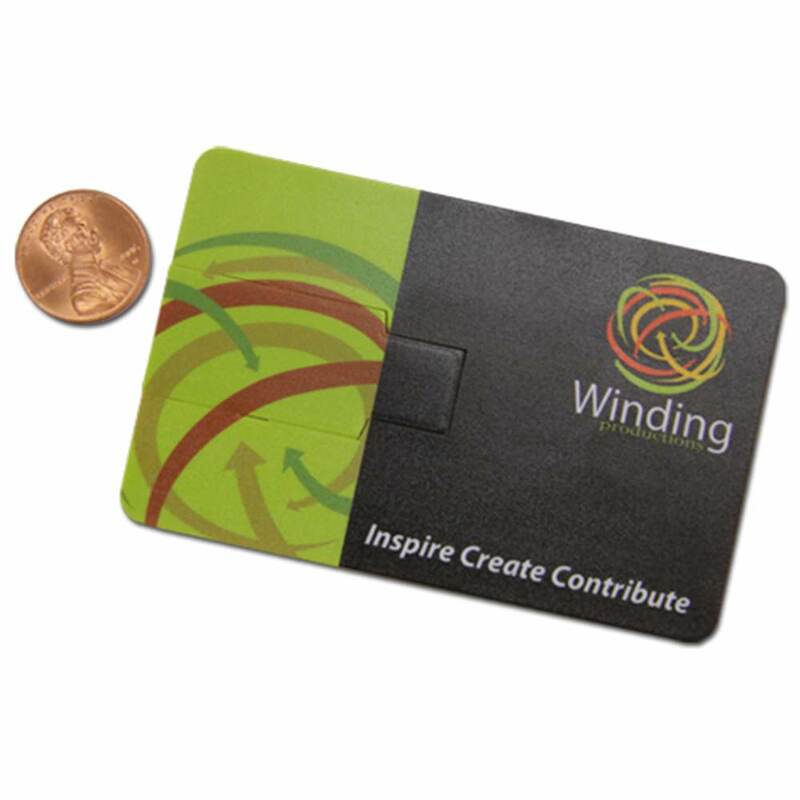 It takes the aesthetically pleasing shape and size of a credit card, the colorful marketing power of a business card, and the valuable data storage of a USB drive. Your potential customers will love the convenient storage of these drives that they can pull out of their wallets and purses in a snap to access their data. The large flat surface of the drive body gives you plenty of space for excellent graphics and corporate logos. The drive is accessed using a flipping mechanism that keeps the port out of the way until use.